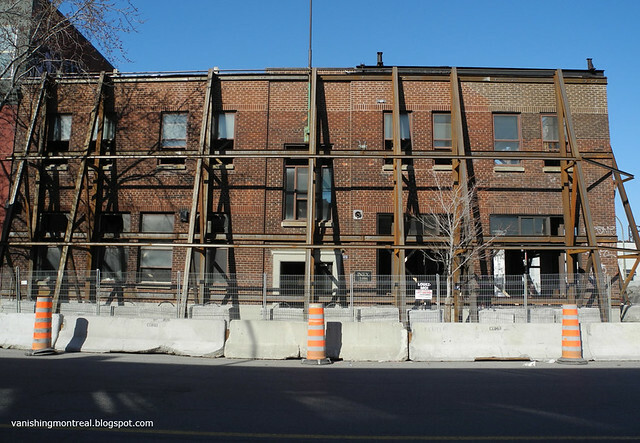 The gritty building on the corner of Peel and Wellington in Griffintown is already gutted, with only its facade remaining. 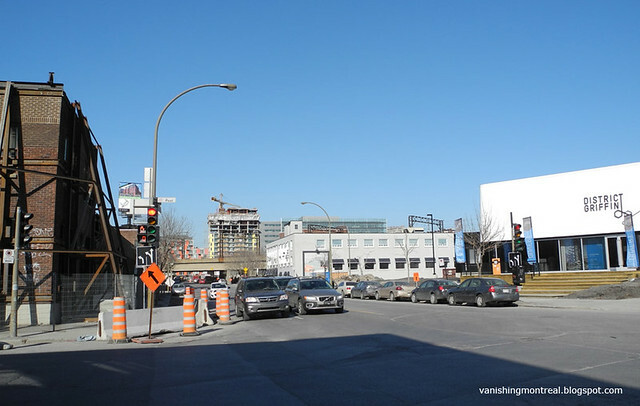 A 20-storey building will be built there. They're not wasting any time. Already mentioned here September 2011. Also, as seen in the picture below, facing the gutted building, the District Griffin sales office has moved from its Peel location (link) to Wellington st.